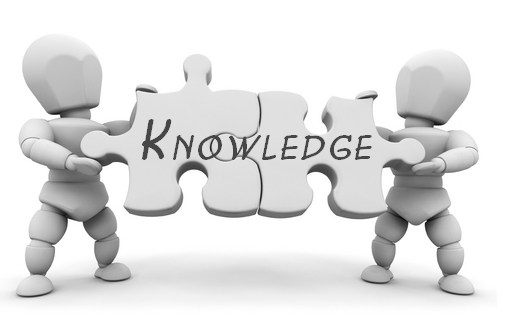 Knowledge Chronicles - Health And Beauty - What Are Your Nails Telling You? The state of your nails could clue you in to some serious health issues? Did you also know . . .
Nails are layers of keratin, a protein that's also found in our skin and hair, and are made up of six parts. Your nail grows from the matrix, an area under the protective cuticle at the base of the nail bed. Fingernails grow 2 to 3 millimeters every month and toenails about 1 millimeter, but growth is faster in the summer months and on your dominant hand. Pale Nails - Very pale nails can sometimes be a sign of serious illness, such as Anemia, Congestive heart failure, Liver disease, and Malnutrition. Yellow Nails - One of the most common causes of yellow nails is a fungal infection. As the infection worsens, the nail bed may retract, and nails may thicken and crumble. In rare cases, yellow nails can indicate a more serious condition such as severe thyroid disease, lung disease, diabetes or psoriasis. Rippled Nails - If the nail surface is rippled or pitted, this may be an early sign of psoriasis or inflammatory arthritis. Discoloration of the nail is common; the skin under the nail can seem reddish-brown. Keep fingernails dry and clean. This prevents bacteria from growing under your fingernails. 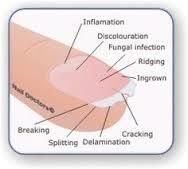 Repeated or prolonged contact with water can contribute to split fingernails. Wear cotton-lined rubber gloves when washing dishes, cleaning or using harsh chemicals. Use a sharp manicure scissors or clippers. Trim your nails straight across, then round the tips in a gentle curve. Using the same clippers on your toenails and fingernails is a great way to spread fungus and bacteria, resulting in bad smells and potentially painful infections. The best manicure tools are hand-finished. Each one is individually adjusted, measured, and readjusted as needed until it operates at the right level of pressure.